Small white orchid (Pseudorchis albida), also known as the white mountain orchid, is a rare species found in dry rough pasture in upland or coastal areas. It is a small plant, rarely over six inches, and bears small white flowers in a fairly tight spike from mid-June. Very widespread across North America; Europe from Ireland to the Balkans, and as far north as Scandinavia. Flowers in June and July. A perennial species with small tuberous roots, rarely more than 15cm tall and rather inconspicuous; found on well-drained pastures, mostly upland but descending to lower altitudes (at sea level in some parts of Scotland). The flowers are produced in a tight spike and are small and white, with a sweet scent and carry nectar in spurs which attract a wide variety of insects. The plant is a perennial with underground tubers; aerial parts are annual and new tubers are produced each year. Seeds are tiny, typical of those of orchids. After seed germination, the young plants must form an association with a special fungus (mycorrhiza) in order to grow and develop. There are no similar species with which this could be confused. This is an inconspicuous plant, especially when growing as an isolated individual. There are a few well-documented sites where the plant appears regularly, but it is best to seek guidance from an experienced field botanist who knows the sites personally. There has been a loss of about half of all its recorded sites since about 1930, and it has been totally lost from its two County Down sites. However, some new sites were located in recent decades, and part of the problem of assessing the decline of this orchid is the ease with which it can be overlooked. This species is scarce and has declined in terms of the number of sites across the whole of the British Isles in the past century. 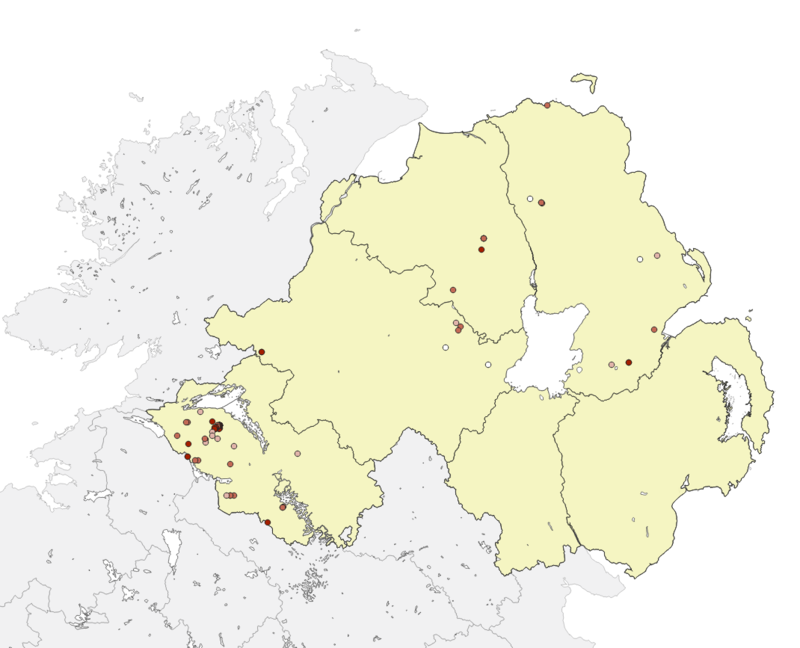 In Northern Ireland this loss amounts to approximately half of all sites. It has also declined in Scandinavia and other parts of its European range. The principlal causes of decline have probably been habitat destruction caused by agricultural improvement and overgrazing. Many of the sites are monitored on an ad hoc basis by field botanists. The status of small white orchid will be surveyed and monitored and appropriate conservation action undertaken if required. You can assist by helping to monitor the health and size of populations. Any sites additional to those currently known would be of great interest. All records should be reported to either the Botanical Society of the British Isles (BSBI) or to CEDaR, National Museums Northern Ireland, 153 Bangor Road, Cultra, Holywood, Co. Down, BT18 0EU. Tel: 028 9039 5256, email: cedar.info [at] nmni.com. Reinhammar, L.-G., Olsson, E.G.A., Sørmeland, E. (2002). Conservation biology of an endangered grassland plant species, Pseudorchis albida, with some references to the closely related alpine P. straminea (Orchidaceae). Botanical Journal of the Linnean Society 139: 47–66.